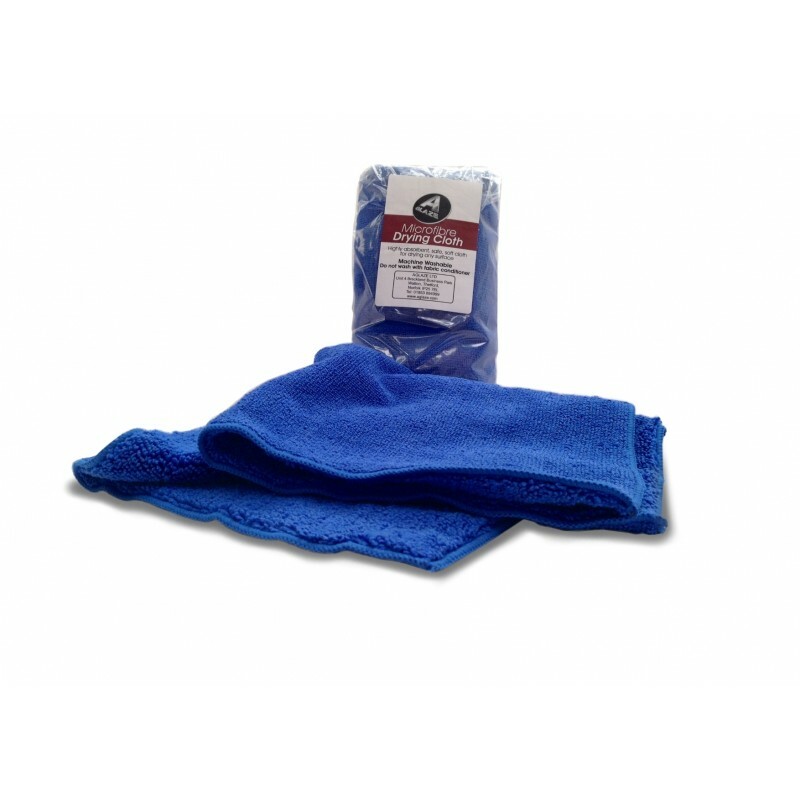 This Microfibre Drying Cloth is the safe way to dry your vehicle after washing. The microfiber construction minimises the risk of causing scratches or swirls while drying your paintwork, as any remaining dirt particles are trapped by the microfibre and kept away from the surface. The cloth is super absorbent and its small size makes it much easier to wring out the water than a larger cloth as well as being much easier to control with no chance of it dragging on the floor when you dry the lower parts of your vehicle. As with all our microfibre products, the drying cloth must be machine washed without conditioner.